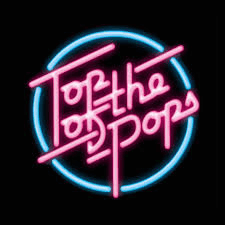 In recent years, the BBC has gradually been revealing those of its “Top of the Pops” episodes which it is able to show. I was originally expecting this to air in about 2021, but due to many of the episodes being essentially banned for featuring Jimmy Saville, and others being unlicensed because of the wishes of the late Mike Smith, late November 1985 came round sooner than expected. And what an opportunity for Prefab Sprout to burst, belatedly, back into the limelight with the pop-picking kids! National TV at Prime Time once again. Except that the thrice released “When Love Breaks Down” is accursed, and the Top of the Pops that contains it was inevitably going to be up against something like England v. Belgium in the World Cup. So it slipped past almost unnoticed. A bit difficult to watch if you’re outside the UK, but here’s the iPlayer link for those who are. The clip is also available on Vevo or the YouTube Vevo channel, but there’s a lovely nostalgic thrill in seeing the whole episode. The sights, the sounds, the mullets, and McCartney doing “Spies like us” and looking very young.